Wireless Charging and Wireless Power Delivery: What’s the Difference? I was at the Apple Genius bar the other day making small talk as the technician checked the hardware on my phone. “I just can’t wait until all these things are all wireless,” I said. The news about real wireless power -- no charging pads required -- isn’t likely mainstream knowledge yet. Or at least, not for this one mobile phone technician. People are using the terms “wireless charging” and “wireless power” interchangeably -- likely due to #1. They don’t know the difference, yet. But for those of us in the know, it’s important to start using the terms wireless power and wireless charging as distinctly different things. Wireless power is power delivered wirelessly. No chargers. No charging pads or donuts or surfaces. No cables or plugs. No need to line up to or get close to a power transmitter. Charging shouldn’t even cross our minds, because we won’t hardly ever need it. I’ll get to that in a moment. Wireless charging, on the other hand, is not having to plug in your device to a charger to power up. The device will be resting, nesting, touching, or almost touching a charger to work. Think of your wireless toothbrush that sits in a plugged-in cradle to charge. Or your smart watch and phone sitting on a charging mat to charge up. That’s “wireless” charging as we know it today. So how do you charge your devices if wireless power delivery isn’t about charging, you might ask. Let’s review how wireless power delivery, like Ossia’s Cota, works. Cota has two main components: a tiny receiver that can be embedded into almost any small device and a small transmitter than can be integrated into a room or vehicle. These components should be virtually invisible to the end consumer. When a receiver comes into range of a transmitter, within about 30 feet with one transmitter or 50 feet with two, the receiver sends a beacon signal into the room. The signal bounces off of objects and walls more than 100 times per second to find the transmitter. When the transmitter receives the signal, it knows exactly where to send power wirelessly -- through the exact same path the beacon traveled on, while naturally avoiding people and pets. The two-way communication happens automatically. The person using the device does not have to stop using the device, put it down, or place it close to or within sight of the transmitter. When you don’t have to plug in, and wireless power is always happening within a Cota-enabled space, your device will never run low on power. It will never need a charge. Wireless Power Delivery Eliminates the Need for Charging? The goal at Ossia is to make Cota Real Wireless Power as ubiquitous as the electrical outlet is today. That means, wherever you might expect to plug in -- at home, work, the airport, even an airplane -- you’ll soon have access to Cota Real Wireless Power. When this happens, as long as you venture into a place with Cota on a fairly regular basis, your devices will always have enough power. When you’re camping or if you’re living a life outdoors, the more traditional methods of charging will be your backup. 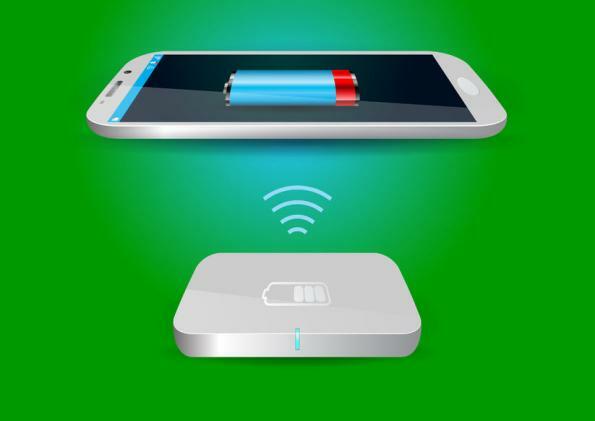 Wireless power and wireless charging can coexist; in fact, they will complement each other for most of the near-term consumer applications. Of course, we are entering a period of early adoption, where only some homes, offices, new cars, and communities will offer wireless power. We expect the convenience, environmental safety, and efficiency of wireless power delivery will make it spread throughout the bigger cities fairly quickly. So no, wireless power delivery doesn’t eliminate the need for charging, not in the near future, but it does greatly minimize the need for it. With wireless power, traditional charging becomes your backup plan when you’re traveling for a long period of time outside of Cota-enabled spaces and cars. Otherwise, you don’t need a charge, because you power is always topped up with Cota. Questions or ideas about how Cota Wireless Power may enhance or complement your line of charged products? Let’s start the conversation.